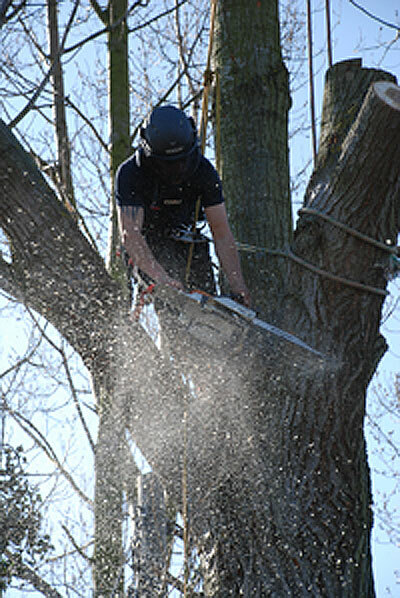 As experienced tree surgeons or, as we like to be referred to, arborists, we can undertake any task that you require professionally and safely. Whether it is a straight forward felling requirement or pruning to a standard we can help achieve your desired outcome. Our pruning techniques conform to those set out in the British Standards 3998 2010 for tree work. On occasions we may use natural fracture techniques which involve pruning methods that mimic the way that a tree tears naturally. A coronet cut is a typical natural fracture technique that is particularly intended to create jagged edges characteristically seen on broken branches following storm damage or static limb failure. Our sympathetic pruning will ensure cuts at selected growth points contribute to the overall health of the tree, preventing pathogen inducing die-back and wood-rot. Dead-wooding can be provided but it is important to consider the habitat that safely veteranised dead-wood can provide for birds, insects and in particular bats. We can provide ecological surveys and bat surveys if required. 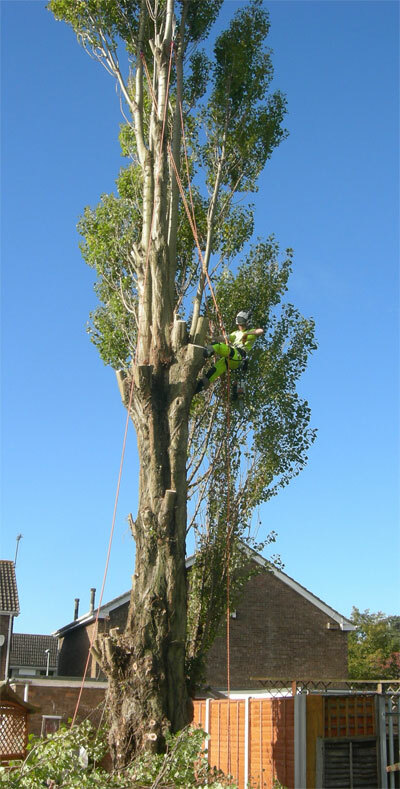 Our arboricultural expertise can ensure that difficult trees can be dealt with in complete safety. We can recommend whether a particular technique is required to maintain or improve the overall stature of the tree. It could be that the tree requires a crown lift, reduction or thinning. The techniques of Crown Thinning, Crown Lifting and Crown Reduction are detailed below. This involves removing some secondary branch growth to create a less dense crown. Crown thinning is sometimes recommended if there are complaints about a tree blocking the light, but is often unsuccessful because the amount of branch wood we remove without harming the tree is minimal – the European Standard advises a maximum of 15%. However, crown thinning can enhance a tree’s appearance by creating a more visually balanced crown, and we will do this work where necessary. This involves removing some of the lower branches beneath a tree’s crown. We often do this to trees near footpaths and roads to allow traffic to pass by safely. It can also help more daylight to pass through a tree. We will not usually lift lower branches to more than one third of the tree’s total height. However, we may have to do this on roads to comply with legal requirements or to make a clearance around streetlights and vision splays. Crown reduction reduces a tree’s crown while still maintaining its natural shape. This is different to ‘topping’, which is not acceptable. We will not normally do crown reduction work because we favour removal and replanting with a more appropriate species instead since this is a more cost effective, long term solution. However, crown reduction is often used where part of a tree touches, or is very close to, a building. We will only reduce part of the crown or specific branches in these circumstances. 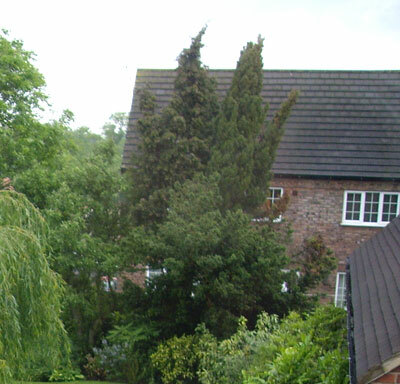 We won’t usually prune back trees that overhang a neighbouring property, unless there is particular risk associated with the overhanging branches. Property owners are entitled to cut back any branches overhanging their boundary, as long as they dispose of all the cuttings properly. We can combine crown reduction with thinning and lifting when trees are blocking daylight, but only in severe cases where it significantly affects residents’ quality of life. 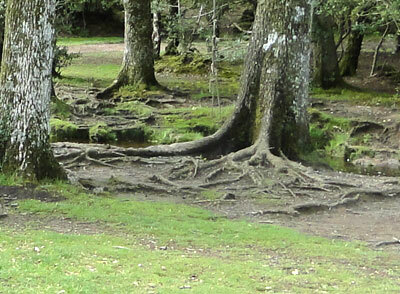 Occasionally, tree roots can damage footpaths and pavements. In these cases we can prune the roots. However, if root pruning is likely to threaten the tree’s health or stability, felling may be our only alternative. This is an ancient tree management technique that starts early in a tree’s life. It involves pruning back branches to the same point on a regular basis to form ‘pollard heads’ which store energy. Pollarding needs to be done at intervals of between one and five years. Many trees lining streets have been pollarded and we will continue this procedure for the foreseeable future. We can’t pollard older trees if they have not been managed as pollards. Causing extensive decay, this would threaten the tree’s entire structure and would be similar to ‘topping’, which is not acceptable. If you are unsure what work you need on your tree we will provide all the necessary advice and if required make an application to the council for work to be carried out on trees within a conservation area or have a specific tree protection order on it. When it is necessary that a tree be removed it is often the case that it is surrounded by structures that prevent a felling procedure. In this case, the only way to remove it is to sectionally dismantle it by crane, mobile elevated work platform or through the art and science of practical rigging. Again often a crane or MEWP cannot practically be utilised and sectional dismantling is the only option. It is extremely important that full training has been received in employing such techniques. This will enable the safe removal of heavy sections using friction reducing devices and correct PPE by the operators. Please see our videos demonstrating how we can safely perform such tasks. Veteran trees require special attention and often involve some form of protection and involvement with Natural England. Again we are happy to offer advice and be involved with any project. We live in the era of Leylandii hedges and if you ignore them they can grow to monstrous sizes. We can’t complain because they keep us constantly busy. We have the expertise in reducing them to a manageable level, or in completely removing them, together with the capability to deal with the vast amounts of woodchip generated from the sheer volume. It is a legal requirement for all arborists working at height to have their climbing equipment checked thoroughly by a competent person. And it is stipulated that climbing equipment has a check every 6 months and all rigging equipment every 12 months. Here at Woodserve we are pleased to remind fellow arborists and newly qualified climbers that we have been providing this service throughout East Yorkshire and Lincolnshire for some time now. David Ketley has the NPTC Certificate of Competence (Level 3) in ‘thorough examination of arboricultural equipment’ and welcomes enquiries for testing. 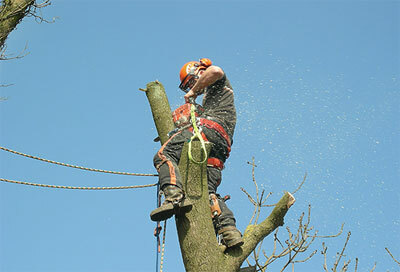 At Woodserve we aim to comply with all the necessary legislation required for tree surgeons. Our accreditations to organizations like CHAS ensure that we have the systems in place to achieve this. The following acts have been passed to ensure that they are adhered to. It is an offence to carry out any work on trees protected within a conservation area or with a specific tree preservation order on it and a heavy fine can be the consequence. Please ensure you go through the right channels since if you employ a tree surgeon to do the work you are equally liable for the offence. Employ a reputable tree surgeon such as Woodserve and we will be happy to guide you through the process.